Delco Sales Visits Kaldewei Factory In Germany! 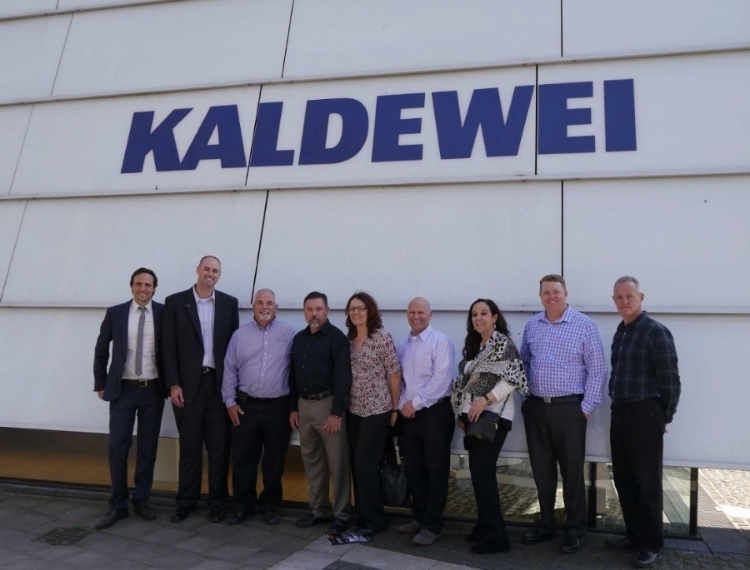 Delco Sales had the opportunity to visit the Kaldewei factory in Ahlen, Germany and along with several leading contractors and designers, got the full factory tour. To learn more about Kaldewei and their exquisite line of luxury bath products, visit their website. Left to right: Christian Spieker - Kaldewei, Chad Novinger - Kaldewei, Curtis Eichhorst - Delco Sales, Ken Palmer Delco Sales, Kathryn Rudnick - California Home Builders, Jim Anderson - Allied Subcontractors Corporation, Lisa Lenig - California Home Builders, Rusty Baker - The Distribution Point, Philip Crane - Crane Development.